Northsea Offshore Technology manufactures lightweight aluminium structures and accommodation projects for the international marine and offshore industry. 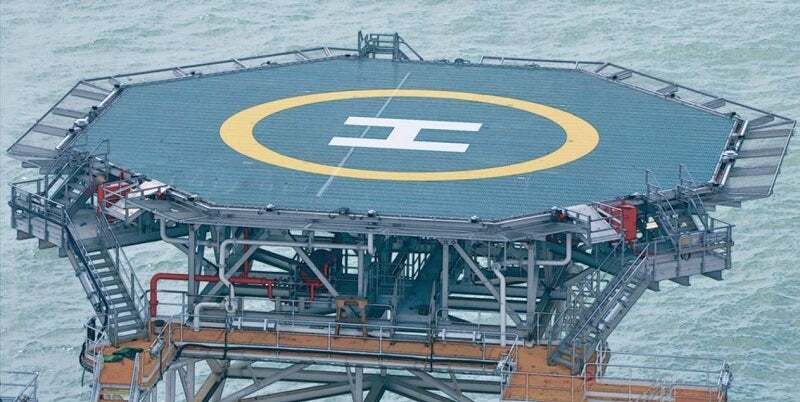 Northsea Offshore Technology’s patented, maintenance-free, class-certified aluminium helicopter deck is suitable for both onshore and offshore applications. The rigid yet lightweight extruded marine grade aluminium design weighs less than steel equivalents, while exceeding structural integrity standards. The company provides a complete helideck package with accessories, including pancake, deck plank and girder beam, in addition to the entire aluminium structural support system. Its helideck kit is designed for modular on-site assembly and is entirely bolted together so no welding or further on-site fabrication is required. Features include a carefully engineered serrated surface to ensure high-friction co-efficiency on the landing deck, which can be either painted green or left neutral. All extruded profiles and plates feature marine grade 6xxx or 5xxx serials. The fasteners for aluminium connections are SS316 grade A40-70 or 80. Northsea Offshore Technology’s products feature a unique patented design that adheres to a structured quality control and assurance system. The company’s designs have third-party certification from a wide range of international societies, including Det Norske Veritas (DNV), American Bureau of Shipping (ABS), Lloyds Register (LR) and Bureau Veritas (BV). Northsea Offshore Technology has also worked with aviation authorities and regulations such as the UK Civil Aviation Authority (CAA), the International Civil Aviation Organization (ICAO), the International Maritime Organization (IMO) MODU Code, Safety of Life at Sea (SOLAS), the Norwegian Maritime Directorate (NMD), CAA-Norway and the US Coast Guard. Northsea Accommodation Solutions is a leading maritime and offshore modular construction supplier, focusing on both rugged and luxurious units for various applications. The company works with owners and builders worldwide from layout drawings and colour combinations, to procurement, material handling and installation to provide bespoke unit cabins and public spaces, galleys, laundry, provision stores and refrigeration areas. Custom-engineered enclosure unit cabins optimise on-site space, feature advanced pre-fabricated systems, and provide time and costs benefits to clients. Northsea Accommodation Solutions commits to the highest manufacturing standards and operates a quality assurance system alongside third-party inspection and certification by NORSOK, DNV, ABS or other standards. An experienced R&D team, technicians and assemblers ensure the company delivers consistently high-quality projects. Northsea Offshore Technology’s comprehensive and dynamic work scope, in addition to its broad range of abilities, allows it to provide for and maintain a quality and productive relationship with clients, and a network of partners. The company provides a comprehensive after-sales service plan and guarantee on all products, which is handled by a qualified service management team and certified service personnel. Northsea Offshore Technology’s fully equipped production facility in Yantai, China, enables the company to deliver high standards in design, engineering and production. The company aims to ensure product innovation and company development that can only be achieved through strategies that foster a collaborative and solutions-focused work environment. With more than 75 highly experienced and qualified staff members, Northsea Offshore Technology maintains a high level of service throughout the engineering, procurement, construction, and installation (EPCI) and after-sales processes. The company is ISO 9001 certified by DNV.